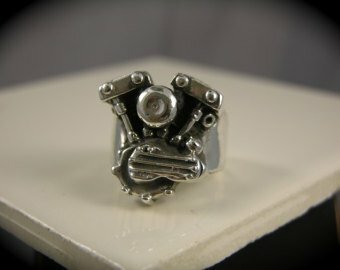 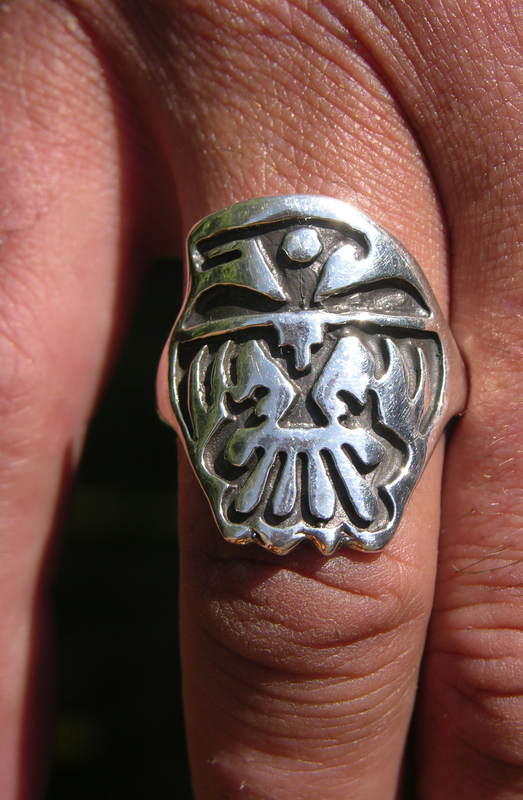 Native American Eagle Totem Sterling Silver Ring. 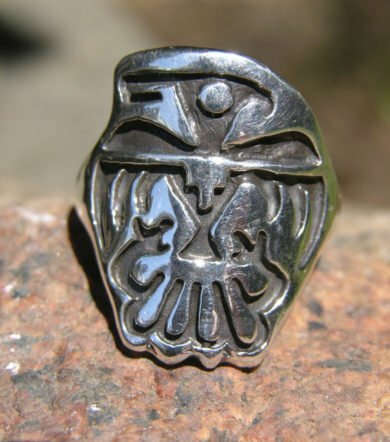 Hopi Tribe are known for their images on a shadow box cut out, this is a cast piece and made to resemble the eagle icon. 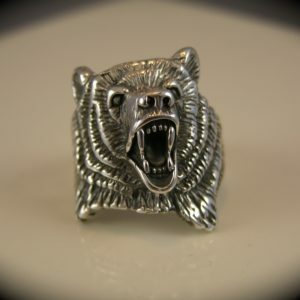 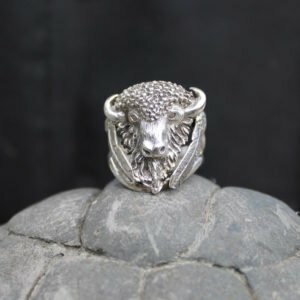 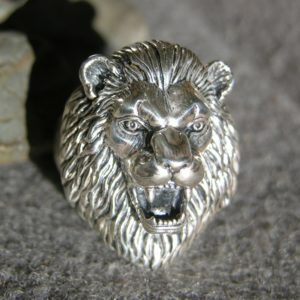 Inspired by Native American traditions, animal spirits and totems; this beautiful ring is outstanding in fit and antique finish; circa 1960’s in original design, guaranteed solid sterling silver. 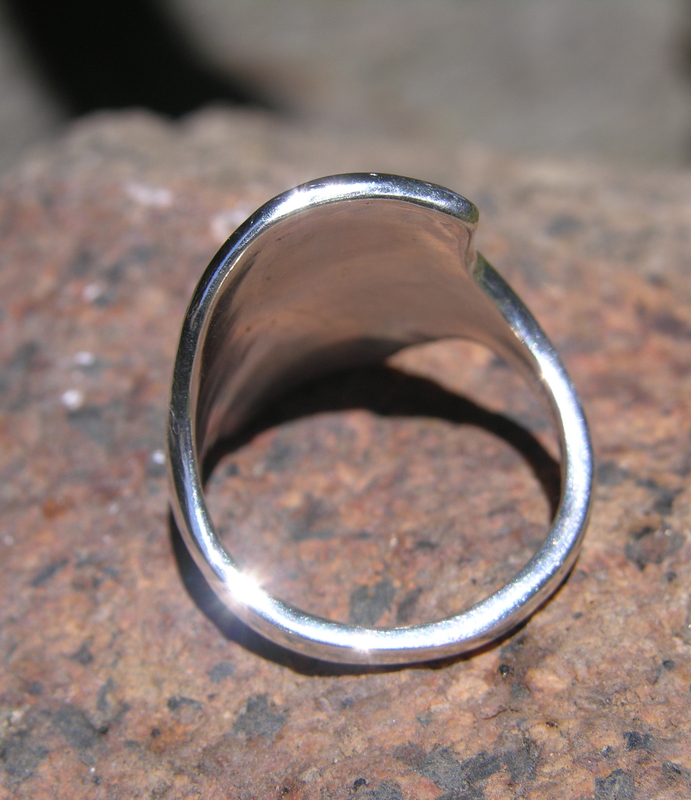 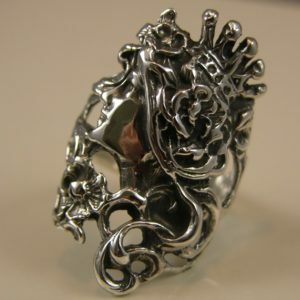 Rings cast and finished by Maggie of freedomjewelryusa, this piece is a large dimension weighing in at: 10 grams and measures: 1″ vertical & 2/3″ across.